The first time I had the opportunity to taste Gary’s wine was at our friends local wine store. 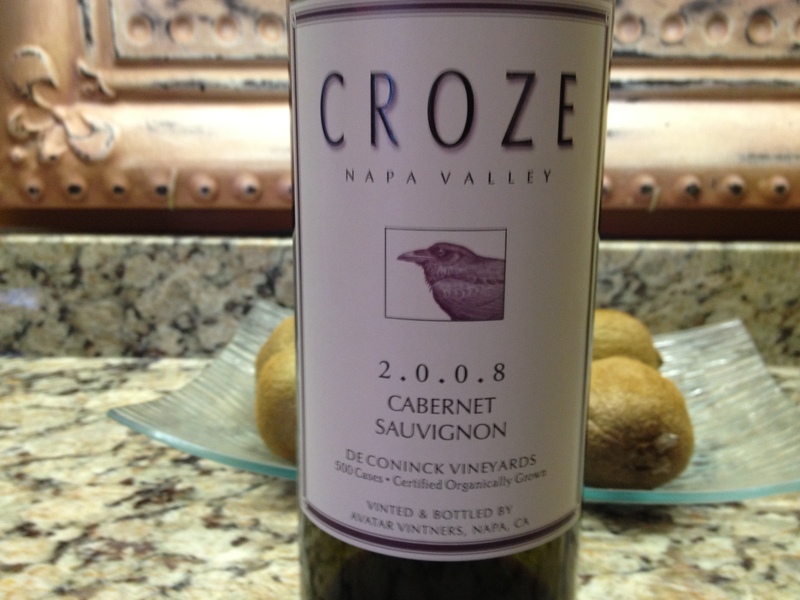 Since that time tasting Croze-Cab, Chris and I have become huge fans of this wine. We have had the privilege of enjoying a number of private tastings at Gary and Suzanne’s home. They are extremely hospitable and their home faces the east looking towards Atlas Peak. As we share camaraderie sitting on the back deck, we can’t help but enjoy the overwhelming scent from the beautiful roses and the simple sound of the breeze blowing through the vines. It is truly an amazing experience! The wine this day that we were about to taste was 100% Cabernet Sauvignon from the De Coninck Vineyards and are certified 100% organically grown. 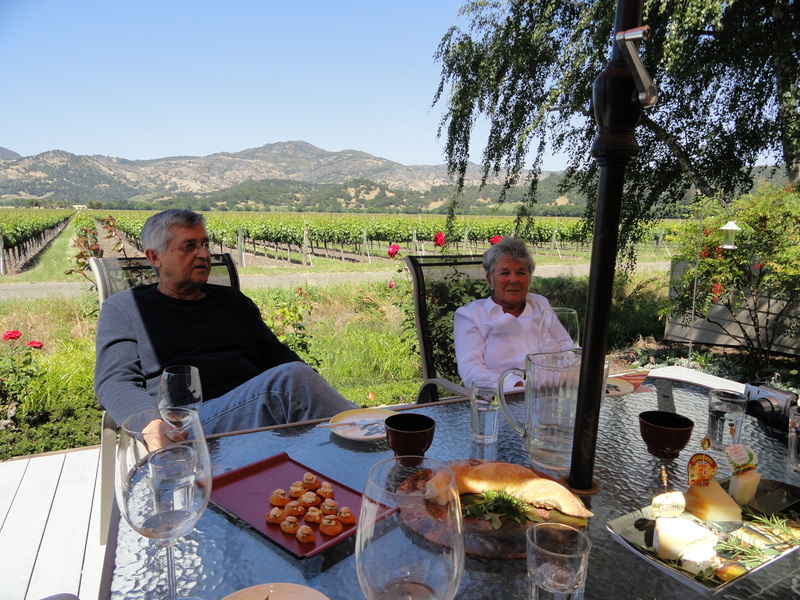 The De Coninck Vineyard resides on the south side of the Napa Valley growing region. The wine is sure to be delicious because I learned it was barreled on my birthday (November 10th) and was aged for 42 months in French Oak. 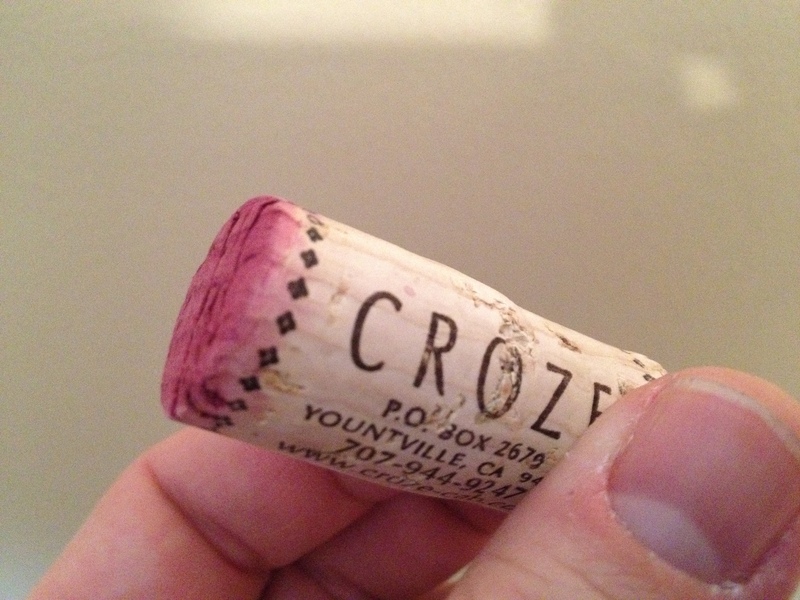 As I pull the cork I can see there is hardly any wine soaked into the cork. I am not surprised since it is a very young wine. As I taste the wine it tastes complex and very balanced. There are no heavy tannins in this wine. I smell Black Cherry and Blueberry with a hint of caramel. I am guessing the caramel nose comes from the French Oak and how the barrel was toasted. 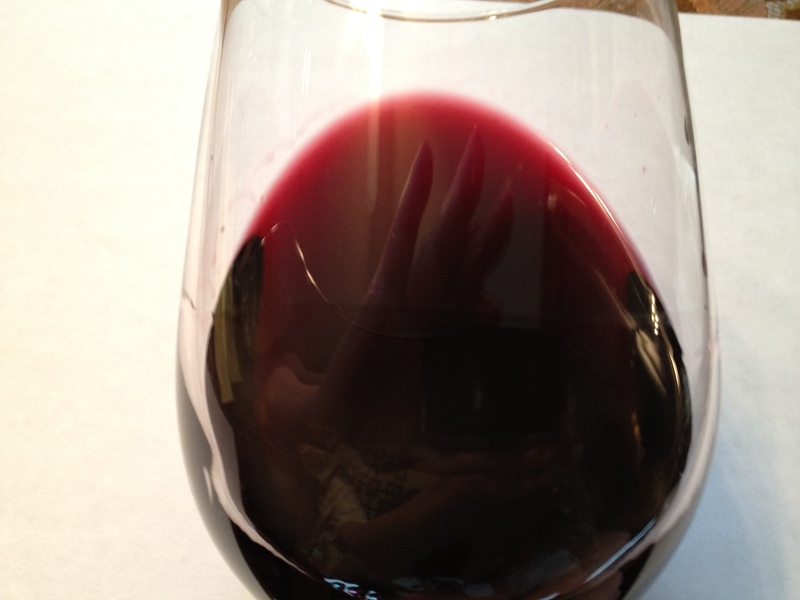 Viewing the wine in my glass, I can see dark fruit. This wine is drinkable now and I am sure if it has been properly cellar ed for ten years, it will be even more excellent! I would, and have compared this wine to a bottle priced over $100.00. The wine is just as good, and has proven on occasion to be better; priced fair and really tastes just right. I am very flattered by your beautiful review. As you know, our aim is to make the wines the best they can be! My only request is Croz-cab needs an e (Croze-cab). Hope to see you soon. Reminder–the Taste of Yountville is Saturday, March 24th!! We hope to see you there.